Fordhook Giant may just well be the perfect vegetable. This fine flavoured, bolt resistant variety has been a market leader for years. 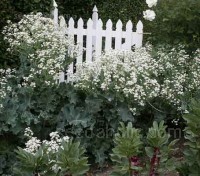 It produces thick, dark green, crisp, crumbled leaves with a broad white rib on juicy white stalks. Swiss Chard 'Lucullus' is a particularly prolific variety which produces wonderful crumpled green leaves with white mid-rib and veins. 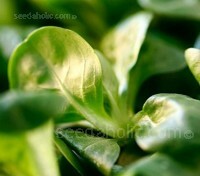 Particular heat and cold tolerant and very easy to grow, it gives a good source of greens for much of the growing season. Swiss Chard is probably the most under appreciated of all vegetables. 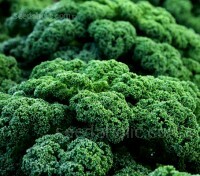 One of the easiest of all vegetables to grow with a long cropping season, it tolerates poor soil and inattention. With crimson-stemmed leaves, it makes a striking contrast in any salad. 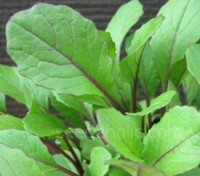 Worth growing for the colour alone, Red Chard will give tasty spinach type leaves for up to 12 months from a single sowing. It is a good choice for the beginner or busy gardener. The striking deep green leaves with red veins are a beautiful addition to any garden. Famous for the forced, blanched heads or ‘chichons’ that are loved by gourmets Chicory 'Brussels Witloof' is the traditional finely-textured variety used for forcing. With a delicious, tangy, unique flavour, it is very easy to grow and produces one of the finest tasting winter vegetables. Italian Chicory, or Radicchio 'Palla Rosso' from Chioggia in Italy is a reliable radicchio that forms a gorgeous, firm, round, dark-red and white head which appears like a jewel when you pull aside the tattered clump of outside green leaves. 'Palla Rossa 3' from Chioggia in Italy, is known for its compactness, size and flavour. 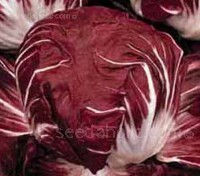 A very reliable radicchio, it is fairly easy to grow in that it consistently forms nice heads, yet can also be forced. It has probably the greatest colour contrast of the red radicchios. 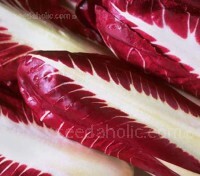 Chicory / Radicchio, Early variety. The classic tall Italian radicchio. Upright with red and white striped leaves with large pure white stems. Highly prized, this flavoursome early variety is grown in the Treviso area in winter and is eaten, root and all, simply pan fried or grilled. It has high resistance to cold. Chicory / Radicchio, Late variety. 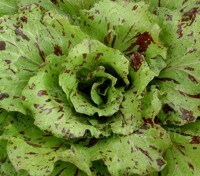 ‘Variegata di Castelfranco’ has a beautiful form with wavy leaves that are flecked with purple. It is one of the hardiest and easiest to grow at any time in the year. Traditionally sown in mid to late summer, the harvest begins in December and lasts well into winter. 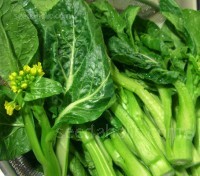 Choy Sum is one of the most popular vegetables in China and is now also widely used in the western world. 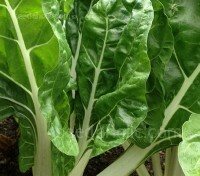 With tender, delicious stems and flower buds, the flavour can be described as midway between cabbage and spinach. 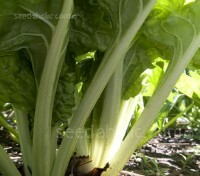 Choy Sum 'Gunsho' is a vigorous and productive 80 day type. Instantly recognisable in Cantonese cuisine. Choy Sum 'Purple Stem' is an absolute fabulous vegetable. You use the whole plant: Flowers, buds, leaves and stems, and if allowed to mature and bolt, yellow flowers will shoot and the plant becomes sweeter and more succulent. 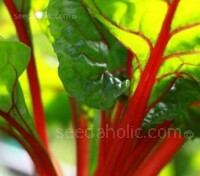 Vit is an easy to grow, vigorous variety for spring and autumn crops. This French variety is mildew-resistant with long, oval, glossy green leaves which form a heavy bunch, They have a tender, delicate nutty, minty flavour. An excellent winter gap filler, both in the vegetable garden and at the dining table. In France this humble plant is called la mâche and enjoys an elevated gourmet status. 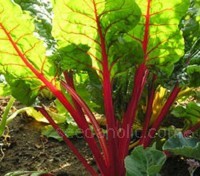 Vit is an easy to grow, vigorous variety. 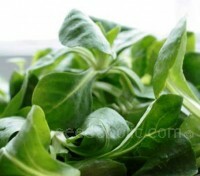 Mildew-resistant with long, oval, glossy green leaves with a tender, delicate nutty, minty flavour. Organic Seed. Awarded the RHS Award of Garden Merit, 'Coquille de Louvier' is an especially cold tolerant refined French cultivar. 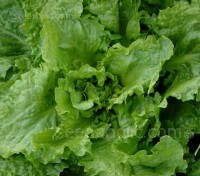 The long, oval, green leaves are never bitter, with a unique, nutty, delicate, sweet buttery flavour which compliments stronger, tart greens in salad mixes. Corn Salad 'Verte de Cambrai' is a traditional old French variety, the compact plants have good colour and small leaf shape. It is among the softest and most tender of all greens, the leaves have a sweet buttery flavour which almost melt in the mouth. 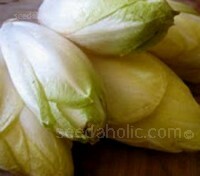 Endive, 'Blond Full Heart’ is a popular scarole type with good flavour and colour. 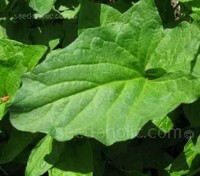 It forms a large head of green and white leaves curled at the edge with tasty, white midribs. Great as a cut-and-come-again salad leaf but even more delicious when fried whole, heart down with plenty of pepper and salt. 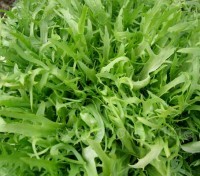 'Cornet de Bordeaux' is a very fine old French variety of endive that produces looser, wavier interior foliage that flares into a veritable cornet. The thick, buttery yellow leaves are very succulent and delicious, they have that special thick crunch of Italian endives, but with a sweeter flavour. Italian Frisée Pancalieri resembles a lettuce that has gone horribly awry. 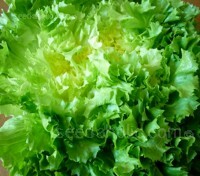 With a pale green explosion of frizzy leaves it adds a frisky note to green salads. The large, loose collective head is dark green with a self-bleaching, creamy white interior. Italian Frisée Pancalieri resembles a lettuce that has gone horribly awry. 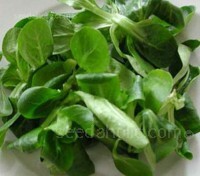 With a pale green explosion of frizzy leaves it adds a frisky note to green salads. The large, loose collective head is dark green with a self-bleaching, creamy white interior. Organic Seeds. Good King Henry has been used as a vegetable for centuries and was once a common sight in every garden. Good King Henry may have lost his court and become something of a rarity today, but this unique herb has much to offer to the home or cottage gardener. Kale ‘F1 Redbor’ is a red Winterbor variety that produces generous heads of purple deeply-crinkled leaves. A fine plant for the winter veg garden, shrugging off frosts it produces its delicious young leaves right through the coldest months. The statuesque plants look good enough for the ornamental border. 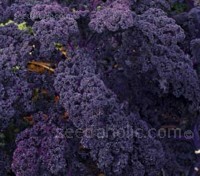 Kale 'F1 Winterbor' is a very frost resistant medium-tall variety with dark blue-green finely curled leaves. It is unsurpassed for extra-mild, sweet Kale tang. Ultra-hardy, it is suitable for autumn and winter harvest. 28 days for baby kale; 60 days mature.